With over 17 years of experience, hospitality comes second-nature to Smoothie Patrol, who innovated what's now en vogue in the food-truck world long before it was cool. 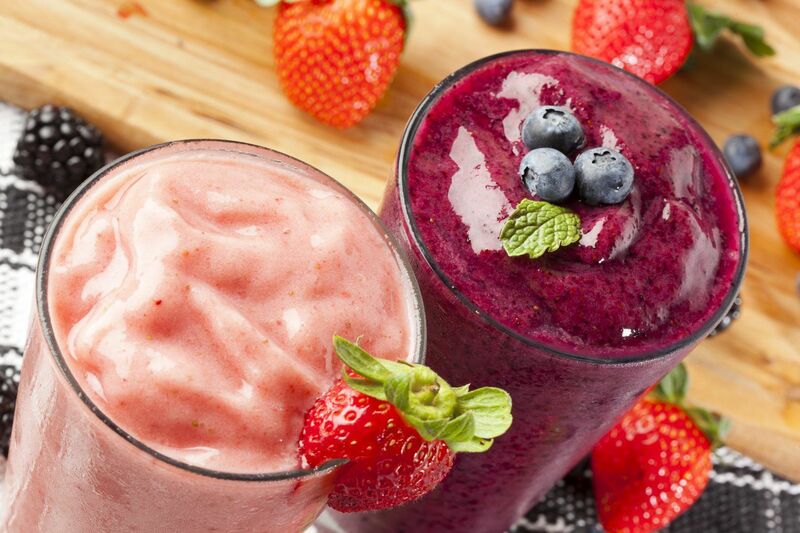 Smoothies are their calling card, and for good reason - they do them better than just about anyone around with fresh-squeezed fruit, coconut water, vitamins and protein for days. Coffee's their other specialty, and comes in as many varieties as the smoothies have flavors. Lattes & salted caramel mochas get whipped up in a flash, and if you can't choose b/w smoothie and coffee, why not have both? The decadent Mookachino is a chocolate treat that dances the line between both. 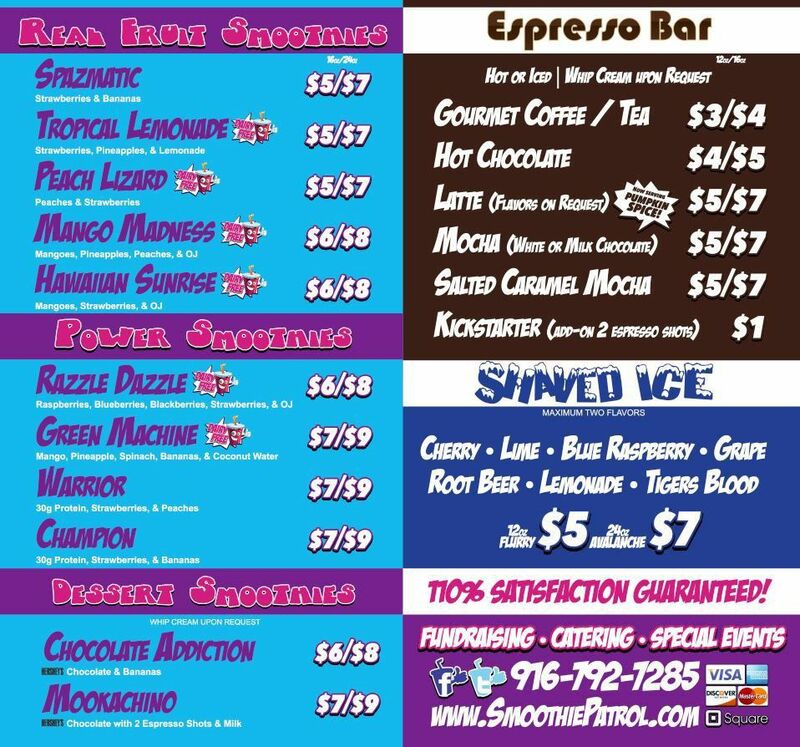 A wide variety of shaved ice rounds out the rest of the options, providing everyone with refreshments that go down easy on hot Cali days. Book 'em for your next event to spread top-notch flavor that's earned a legacy for a reason.